This photograph was captured at a cute backyard wedding. I love photographing the wedding rings on something small that ties into the story of their day. I found some green army men on the dessert table on top of donuts. With the positioning of the guns I thought it was a perfect holder for the wedding rings. I posed them on the ground for color and texture. The rings were balanced carefully so the my bride's engagement ring was most visible on the left. 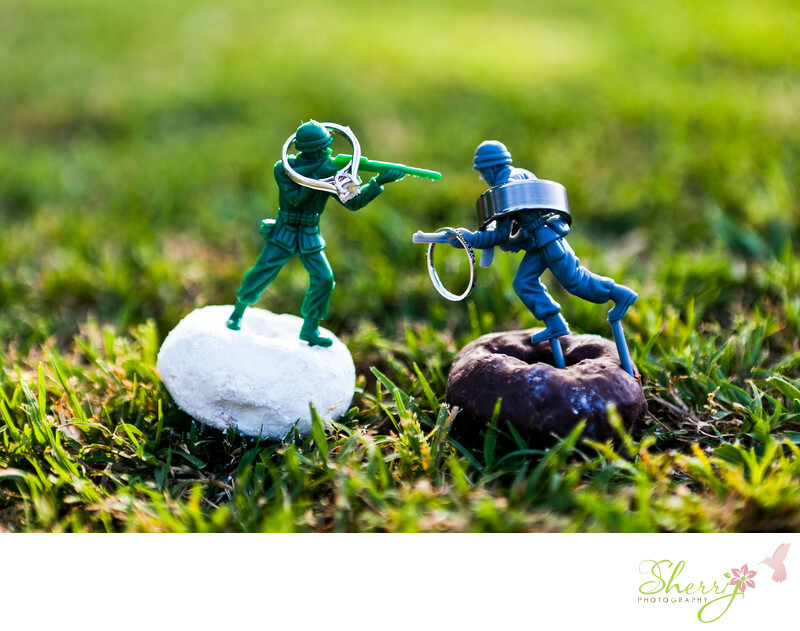 The wedding bands were placed on the green army man on the right. If you'd like to see more cute things from this BW backyard wedding click HERE for their wedding album design.